Since our inception, we’ve aimed to create the very best products, ensuring the very best rides. We’ve always aimed to push the boundaries of the cycling world, and we’ve always worked hard to test the limits of comfort and speed. In almost a decade of building widely-acclaimed rides, we’re proud that ‘revolutionary’ has become synonymous with LEKKER. And revolutionary is exactly what the all-new E-Amsterdam is. The newest addition to our E-Bike fleet is set to redefine urban commuting. While pairing aesthetically conscious design with quality craftsmanship, the E-Amsterdam packs the most premium of components into an aerodynamic and ergonomic frame. We like to call our newest ride sophistication on two wheels. The E-Amsterdam was created from the ground up for agility and speed, designed to own every road and every turn. Lightweight and rust-resistant, the bike’s 100% aluminium frame is perfectly crafted for weaving through traffic, stress and gridlock in style and comfort. Our design team focussed on coupling aerodynamics with ergonomics to create a ride that’s ready to fly through city streets while maintaining comfort that’ll last all day long. Durable and sturdy, take your E-Amsterdam anywhere without breaking a sweat. Rain or shine, this ride’s a ride that was built to last. Power through concrete jungles with the latest Mid-Drive motor from Bafang. 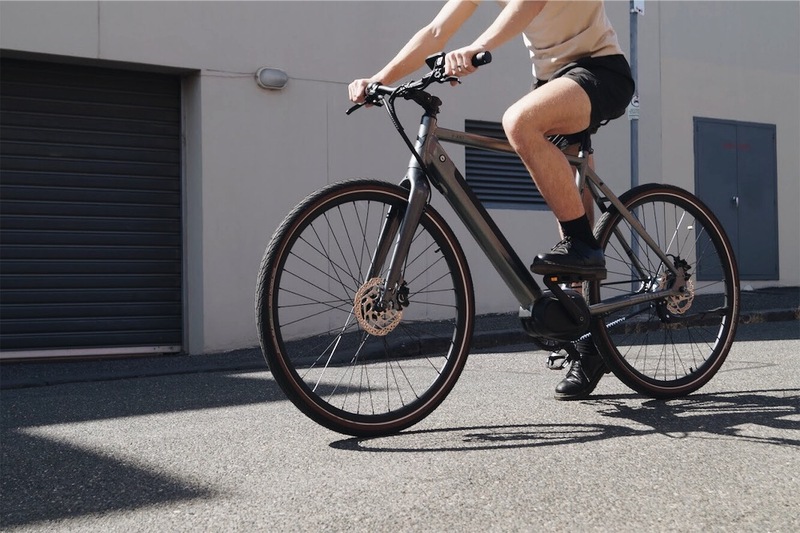 From the hills of Sydney or San Francisco, to coastal rides in Melbourne and Los Angeles, the E-Amsterdam’s motor will have you racing the wind. Smarter than ever, and in-built torque sensor works with your pedalling to get you into the perfect rhythm, up to 25 km/h. With a single press of a button, take control of your ride with five levels of user assistance. We’re placing power at your fingertips. Literally. From commutes to offices in city skyscrapers, to rides to the family home in the suburbs, switch gears effortlessly with the Shimano Nexus 8 speed gearing system. Flick through a staggering range in a single swift motion without thinking twice. Transition from nature trails to inner-city concrete like it’s no big deal. Protected by high-quality casing, the E-Amsterdam’s gearing is shielded from dust, grease, and the elements. Spend more time zipping through your metropolis, and less time in mechanics’ stores. The way riding should be. Fuelled by an easily removable battery, featuring cells made by Samsung, the E-Amsterdam is perfected for hours of use. Revolutionise every commute; cruise through Sydney’s hilly boulevards and ride into morning meetings in Melbourne with ease. The best part? 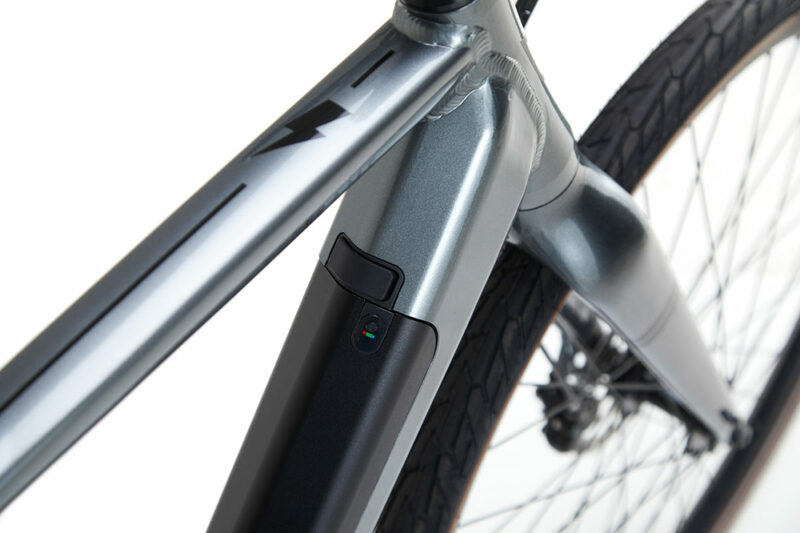 The E-Amsterdam’s battery is cleverly integrated into the bicycle’s stunning build – you won’t even know it’s there. Glide to a smooth, yet complete, halt within seconds with the E-Amsterdam’s premium hydraulic brakes. Cycling has never been so effortless. From its blueprints in Amsterdam to being assembled in our Melbourne and Sydney workshops, the E-Amsterdam was crafted with striking elegance in mind. Inspired by the snow-capped peaks and the breathtaking views of the European Alps, the E-Amsterdam showcases the newest LEKKER swatch: Mineral Grey. Drop jaws at every corner. As of the 1st of March, the E-Amsterdam will be available for test rides in the Melbourne and Sydney LEKKER brand stores. Riders can reserve the E-Amsterdam as of today for just $250, with a current delivery window of April. Early bird riders will enjoy a $300 discount off the listed price of $3298.